Kaogel is for the oral treatment of diarrhoea of non-specific origin in cats and dogs. 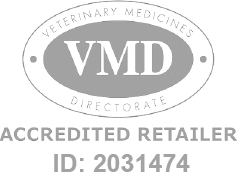 Kaogel VP is a Prescription Only Veterinary Medicine and by law requires a prescription from your vet. Feed 0.5 - 1ml per kg of bodyweight daily. May be given as a divided dose 3-4 times daily.